I’m frequently asked, “What do you look for in an artist?” Since you asked nicely, I’m going to reveal my secret system. Secret 1) Of course, not every agent handles this important decision the same way, but I look for three main ingredients in an artist: Excellent work (obviously), talents that match the needs of art buyers I work with (and those I hope to work with soon) and kind-heartedness, both in business and personal behavior. Yes, it’s nice to be important but it’s important to be nice. Secret 2) Regarding style, I seek out artists with a unique eye and a personal perspective. I love a quirky sense of design myself, and my customers tend to like what I like. I look for someone who understands color and design, who has a vision for the overall composition, and who pays attention to the finest details. It’s about seeing the Big Picture while dealing with the small stuff. Secret 3) I always keep in mind the needs of art buyers. I look for excellent artwork with a different take on readily licensable content. 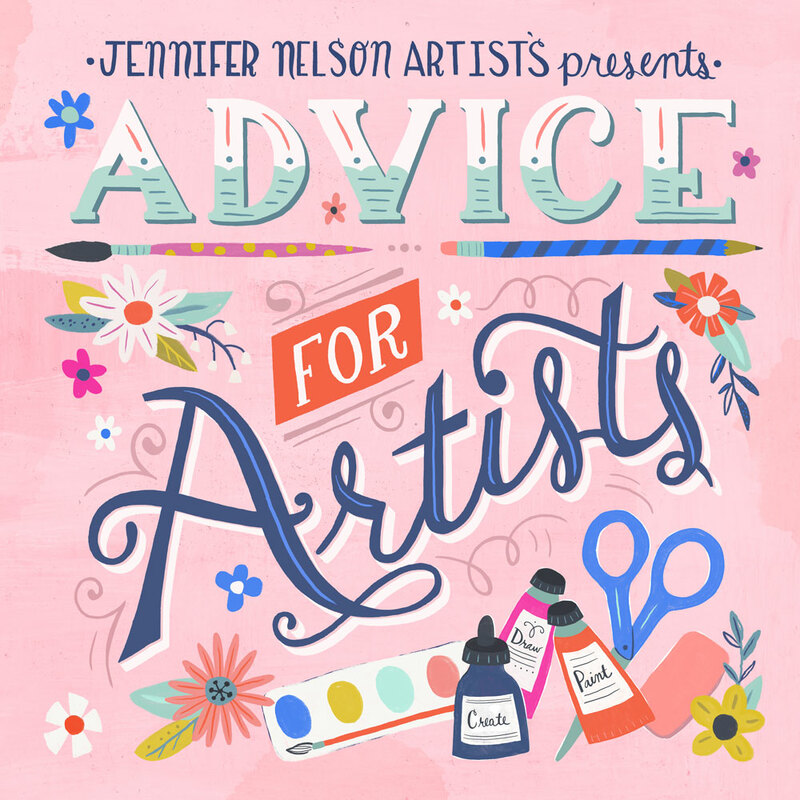 That means popular subject matter like florals, winter holiday themes, hand lettering, etc. The art buyers I work with are looking for clarity, mastery of color and an image that will, in turn, appeal to their customers. Secret 4) Being dependable is as essential as being talented. I have been in business for many years and have worked with oodles of gifted people. The ones who are committed, timely and accurate get hired time and time again. Among those, the artists I remember and want to work with are those who are also decent human beings. If an artist is good to me and the online community, they will in turn be pleasant toward our clients. This reflects well on the artist, the agency, and on me personally. Secret 5) A successful artist needs to be have good work habits. That means being organized (knowing where to find that piece of art we need), neat (art can get messy but digital files have to be clean), friendly and easy to talk with, and ready and willing to collaborate with clients. In short, an artist has to have the same standards as anyone in business. Secret 6) As opposed to fine art, commercial art is about solving problems. How do we want to design this pillow to make it marketable? What image should go on this Mother’s Day card? How do we make this ordinary object more desirable with art? Self-expression and creativity are wonderful, but we still need art that does what it’s required to do. I look for artists whose approach to illustration includes problem-solving skills. BIG NEWS: coming up on Friday, we will announce our seventh artist! Like the six that came before her, she fits all the criteria above. I love her work and I can’t wait to share her amazing art with all of you.